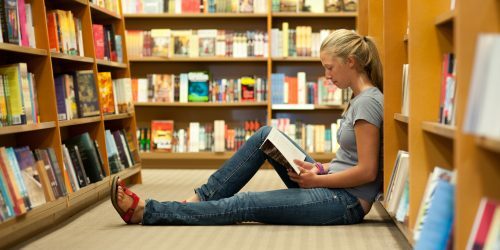 When I see strangers reading books in public places, I often startle them by inquiring about their book choices. I take their brief personal reviews into account when looking for my next read. As a result, I currently find myself in a book aimed at ages “9 to 12.” During lulls in our traditional holiday visit with relatives, I was slowly pulled into the engaging plot of “The Dark is Rising,” a single volume collection of a five book fantasy written by Susan Cooper. As I am making my way through the first book, “Over Sea, Under Stone,” I am reminded of the undeniable value of books and their uniquely rich and engaging language for the development of strong language in children. Vocabulary and complex sentences provide linguistic handles for thinking and communicating about people, places, things, events, ideas and feelings. With such tools at their disposal, children can think more deeply and communicate more effectively than they can with limited mastery over such versatile language. The careful choice of words in our own writing and an appreciation of subtle nuances in the writing of others allow us to master how to be present with others, to listen and speak effectively in optimizing communication with them. This lifelong path of language refinement provides, in no small way, a means to develop each of our own unique forms of wisdom—a foundation for success in school and life. Leaving Jane baffled, he seized the manuscript and ran downstairs to the small dark door on the first-floor landing which led to the passage they had discovered on the way to the attic. It was still unlocked. He stepped down into the tiny passage and across to the bare, austere room that they had decided was the captain’s bedroom. There has been much made of the 30 Million word gap first shared by Hart and Risley 20 years ago. Their research documented the disparity between the numbers of words heard in conversation prior to entering Kindergarten for kids from homes with few resources and those coming from families with abundant opportunities. That gap, favoring those with more, can be a daunting challenge for the linguistically less fortunate. These otherwise happy and loved children whose first 60 months of life did not prepare them for being required to compete in an all-child vocabulary contest on day one of Kindergarten are in for a rude awakening. Fortunately, these little guys and gals are language learning machines and, with sufficient book choices and reading opportunities, can joyfully learn to be successful in that lifelong competition. Reading. Good. Self-selected. Books. Builds. Language. We can tell families and teachers that they ought to read books to/with their children/students, but apparently the WHY of this directive is often omitted. So, many children grow up without this kind of enrichment. Reading (to, with, alone) offers the perfect context for vocabulary/language growth, along with supplying an amazing boost in deep background knowledge about the world and its peoples. That right there’s an unbeatable education. 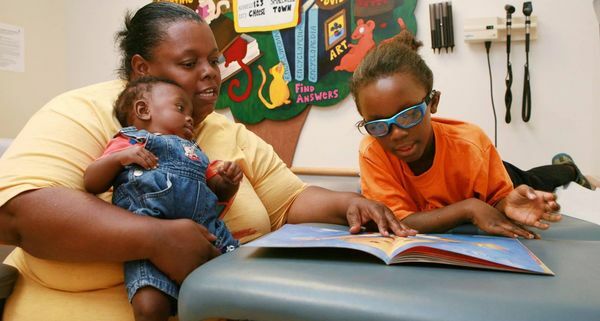 So, let’s get every kid a library card at birth…before they leave the hospital or birthing center…and then let’s teach them to joyfully use it. Getting books daily into those tiny but growing hands, and for extending periods of time as they move through each grade of school will have them also launching articulate book conversations with surprised strangers in due time. I think that could be a very good thing! Thank you for your post, Mr.Condon. Please keep me informed, and updated on your doings about writing and reading. You are most welcome. If you are interested, you can sign up for being automatically notified about each blog posting. Just leave your email address in the form at the lower right hand corner of this page: http://about.UniteforLiteracy.com/blog and you’ll never miss one. I enjoyed all the information and would like to be added for further information. Thanks, Sandra. I can’t sign you up for that notification, but YOU can. Just click this link to go to the blog and in the lower right hand corner you can sign up to receive notifications of each blog publication.